Share what you love about Goodwill! Download the template and share your photo using #goodwillgrateful on any social media. We want to thank the individuals who make our work possible. Join us for an upcoming Donor Appreciation Day for donuts, coffee and snacks for the road! At Goodwill, there is much to be thankful for throughout the year. We work to provide more than just a great place to shop; we work to change lives! Each year, we help thousands of individuals find the job that works for them. The process may include skills training, job searching, interview and resume preparation, speaking with managers and following up to make sure our clients are happy in their new jobs. It's hard work, but we see results. See some results for yourself in our blog. 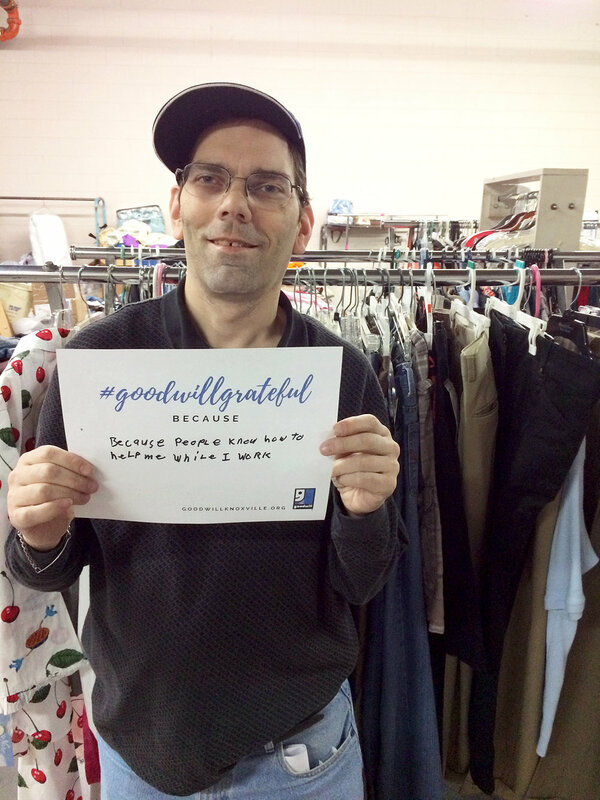 When you donate to Goodwill or shop in our stores, you directly support our mission to provide vocational training and employment opportunities for individuals with barriers to employment. Rest assured that your donation is making an impact in your community, one job at a time.